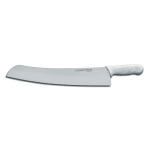 Get a cleaner, more consistent cut with this Dexter-Russell Sani-Safe 16" pizza knife. Featuring a solid, durable carbon steel blade, this 16" pizza knife will easily last your kitchen for years and always provide a neat cut. The textured polypropylene handle allows the user to achieve a firm grip at all times without the risk for dangerous slips and slides. 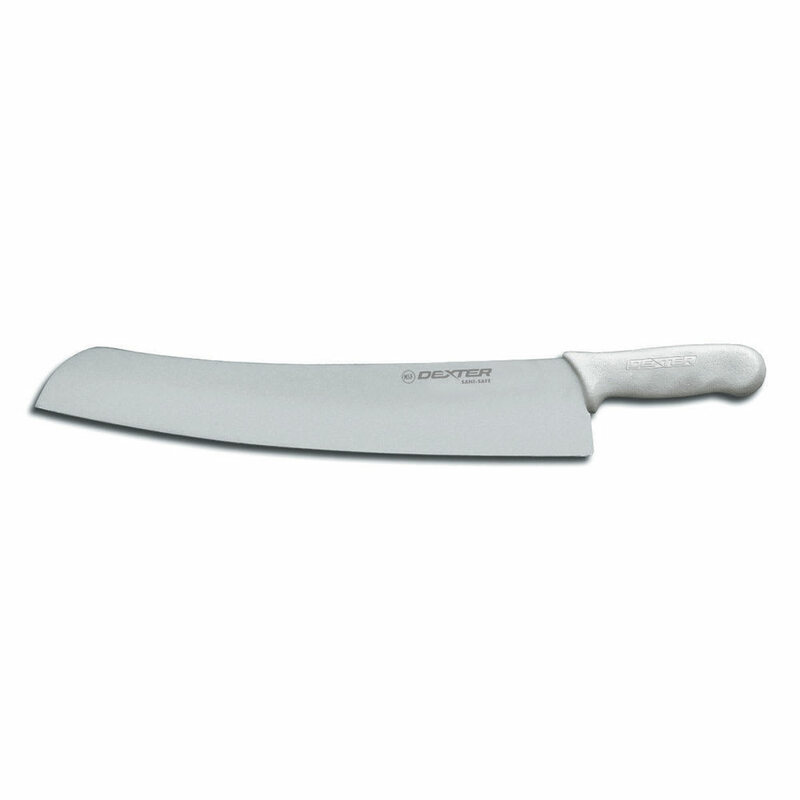 A Dexter-Russell 16" pizza knife is great for cutting larger, very deliberate slices of pizza and should be in every pizza kitchen's utensil collection!